Licensed Battlefield Guide John Archer stands with participants on his East Cemetery Hill battle-walk on Sunday. This view was taken facing west at approximately 1:00 PM on Sunday, April 15, 2012. 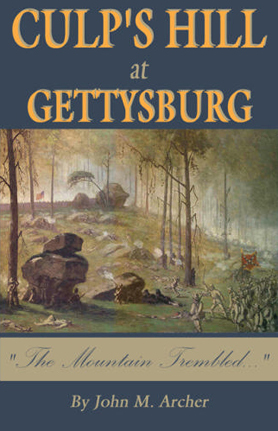 Though Yankee born and bred, Gettysburg Licensed Battlefield Guide John Archer dates his interest in the Civil War from his childhood discovery of Confederate ancestors on his family tree. 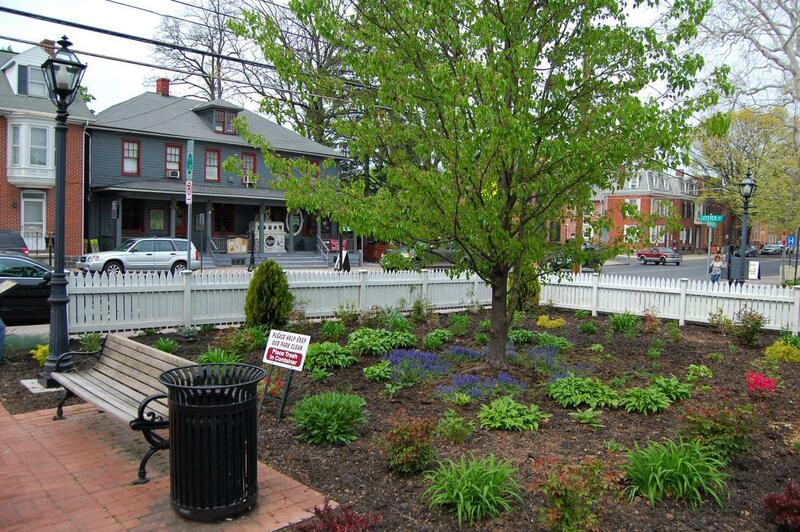 John rediscovered to his Civil War roots, and moved lock, stock, and barrel to Gettysburg in 1995. 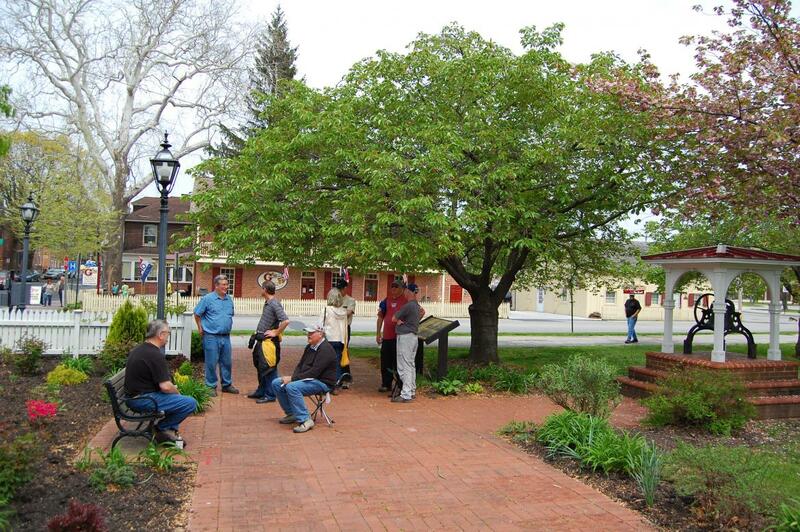 His interpretive tours have been featured in PCN TV’s Gettysburg Battlewalks Series. 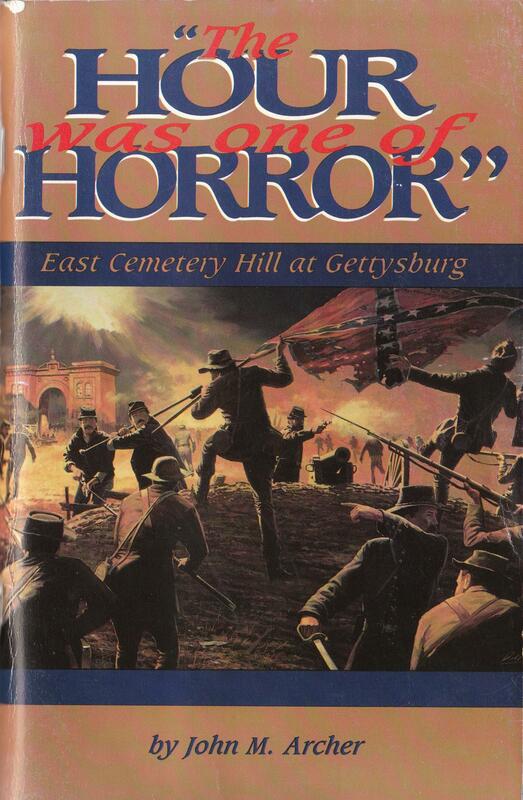 His written work includes two histories of the battle, East Cemetery Hill at Gettysburg and Culp’s Hill at Gettysburg, as well as articles in “Blue and Gray,” “Gettysburg Magazine,” and other periodicals. 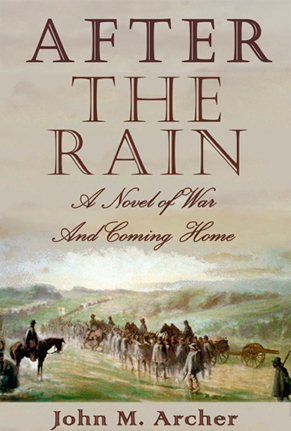 His first work of historical fiction, After the Rain: A Novel of War and Coming Home, was released in 2011, and is a finalist to receive the Langum Prize in American Historical Fiction. 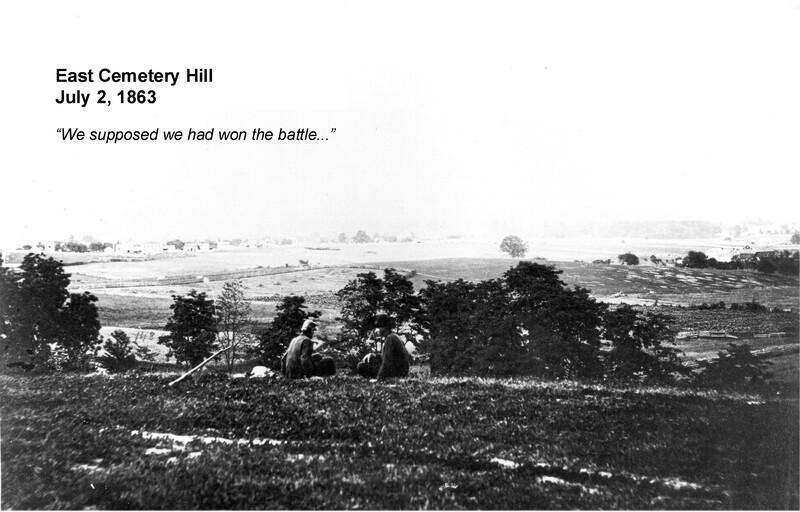 In today’s East Cemetery Hill post, Gettysburg Licensed Battlefield Guide John Archer begins the first part of his East Cemetery Hill battle-walk, delivered on Sunday, April 15. Though this does cover some prior information in the series, we will be presenting the walk in its entirety. After the videos, we have included a selection of the images used in the tour. 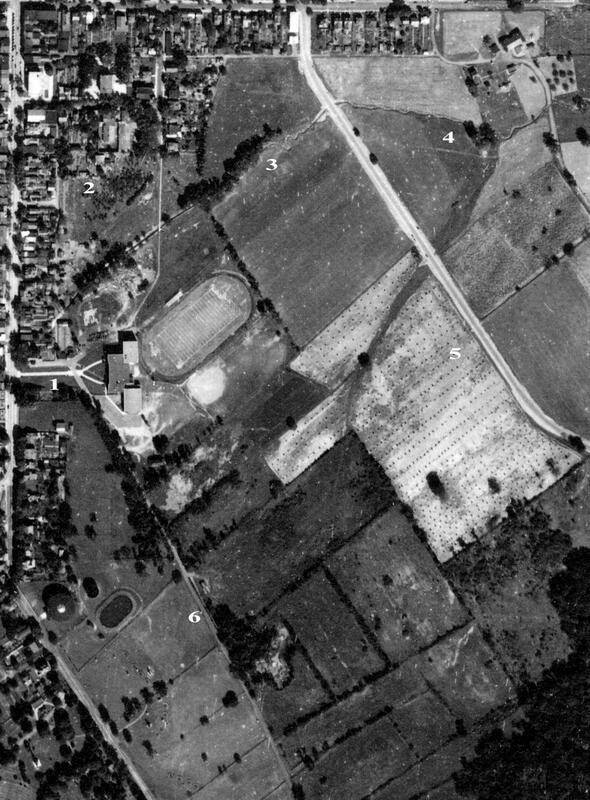 To see previous images and entries in the East Cemetery Hill series by John Archer, click here. The walk began here … This view was taken facing west at approximately 1:00 PM on Sunday, April 15, 2012. 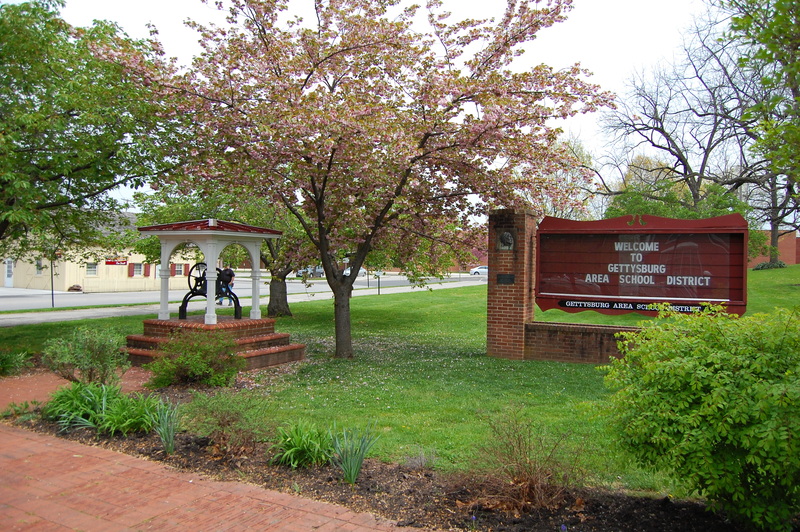 … in Gettysburg Area School District’s Alumni Park … This view was taken facing norteast at approximately 1:00 PM on Sunday, April 15, 2012. … at the corner of Baltimore Street and Lefever Street (intersecting from the right of frame). This view was taken facing northwest at approximately 5:30 PM on Friday, July 29, 2011. 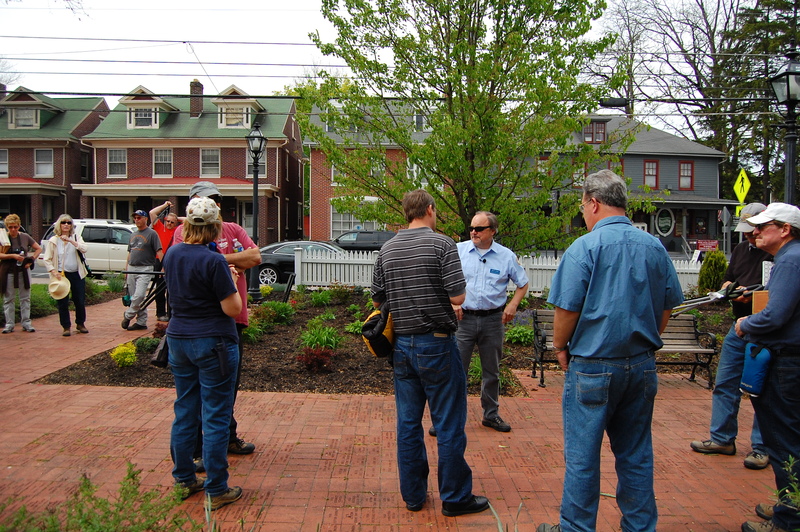 In our first battle-walk video, LBG John Archer starts the tour in Alumni Park at the corner of Lefever and Baltimore Street in downtown Gettysburg. In our second battle-walk video, LBG John Archer has moved to “Ewell’s Overlook,” a map of which you can find below. 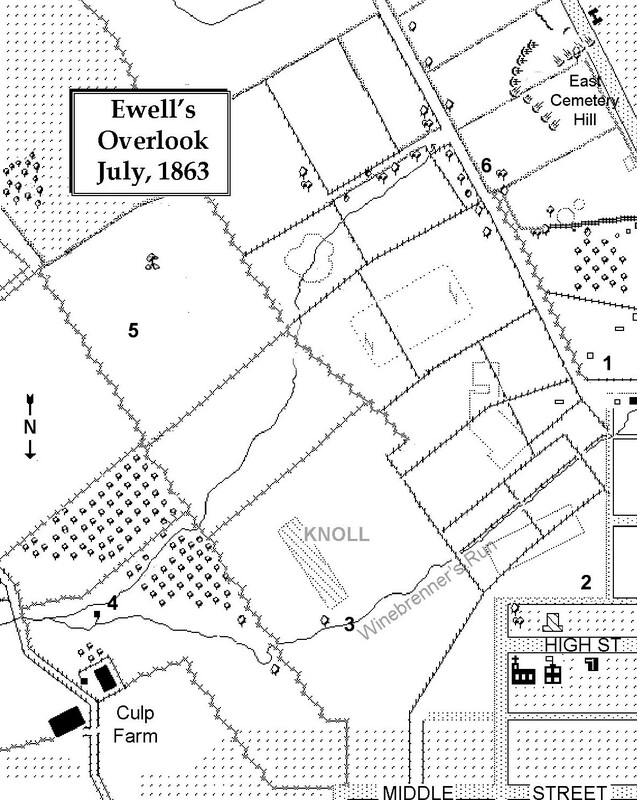 John Archer’s Map of the area between Ewell’s Overlook near High Street and East Cemetery Hill. This view was taken facing south and is courtesy of John Archer. This photograph is courtesy of John Archer. 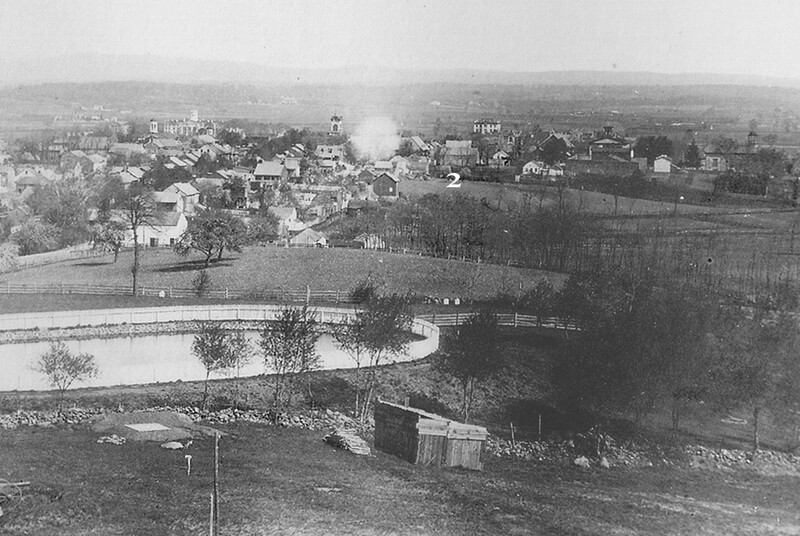 This photograph is courtesy of John Archer and was taken circa 1888. 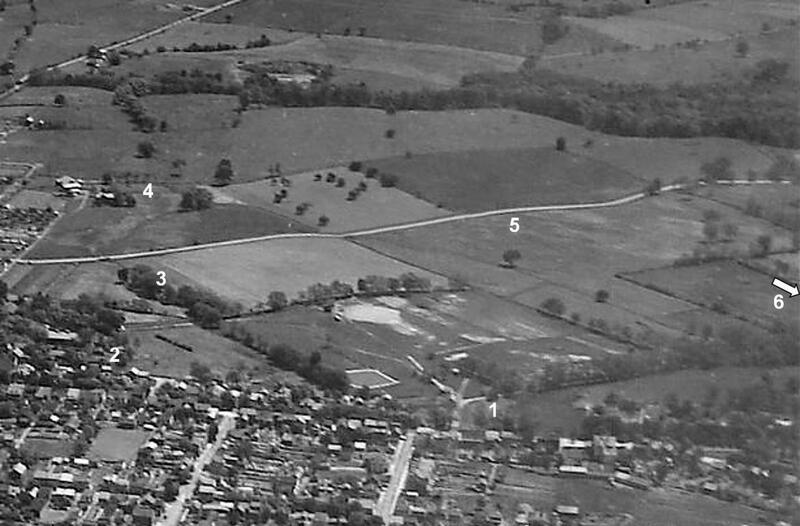 This aerial view is courtesy of John Archer and was taken circa the 1940s. John Archer is the author of After the Rain: A Novel of War and Coming Home.